When an archaeological dig unleashes a centuries-old virus, paramilitary operative Cole 'Tox' Russell is forced back into action. With the help of archaeologist Tzivia Khalon and FBI agent Kasey Cortes, Tox searches for answers--and becomes entangled in a web of deception. As the team races to stop a pandemic, a secret society counters their every move. Kendig Ratchets Up the Action in Her New Suspense Series! Four years after a tragic mission decimated his career and his team, Cole "Tox" Russell is persona non grata to the United States. And that's fine--he just wants to be left alone. But when a dormant, centuries-old disease is unleashed, Tox is lured back into action. Partnered with FBI agent Kasey Cortes, Tox has to pull together a team to begin a globe-spanning search for answers--and a cure. As their quest leads them from continent to continent, it slowly becomes clear they're not just fighting a plague--but battling against an ancient secret society whose true goals remain hidden. 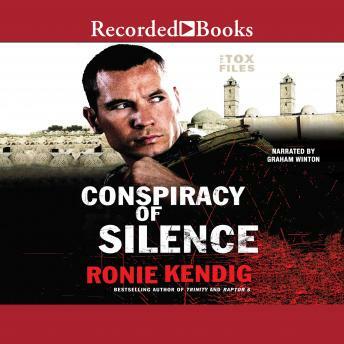 With time running out and opposition growing on every side, the key to everything may rest in an antique codex, the Crown of Jerusalem--but will Tox and his team be able to trust each other enough to break this century-spanning conspiracy of silence?